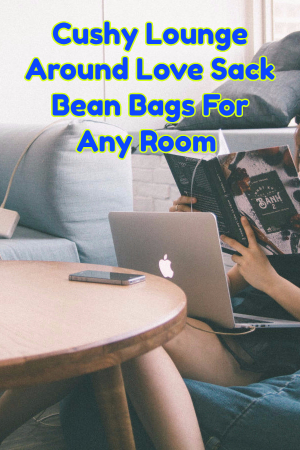 I originally bought a Love Sack bean bag for my son to use while he plays video games, and he loves it. He used to play games while sitting on the floor, but it wasn’t very comfortable. Even the chair at the desk in his room didn’t feel good for relaxing. I sat in the bean bag, and although it was too small for my body, it was pretty comfortable. The same company who made that bean bag also sells larger versions for adults, so I ordered a couple to put around the house. Sometimes I like to just sit in the bean bag and curl up with a good book. I even put one of the bean bags in the entertainment room for when I want to watch a movie. Leather seats and recliners are nice, but sometimes they just feel a little bit too stiff for me. The bean bag is softer and really feels good when you just want to lounge around with a bucket of popcorn and a soda. My wife still prefers to sit in chairs and use the sofa, but I think she’ll come around eventually, especially when I put a bean bag in her reading room.